Q. How did attending this dinner change your life? If we are blessed enough to do so, we will eat 365 dinners a year. Times that by as many years as you are alive and that is a lot of dinners. But you likely don’t remember 98% of those dinners. This dinner with Edee and company I will remember forever. You have to decide what is most important in life. Dinner with friends and family is one of those things for us. We are only blessed with a handful of true friends in this life and when you can sit around a table and share an extravagant meal together it provides the perfect environment for memories you’ll never forget. It was a night that everybody cherished. Edee succeeded in creating happiness. Our social fabric is centered on food and when you can enjoy such a high quality, unique menu it will make you and your guests feel loved. Q. What impressed you the most about Edee’s dinner? In a word – surprised! We all have our local spots we love but this was in a league all of its own. Even the greatest local hot spots can’t compete with buffalo meat paired to perfection with an obscure wine selection. Q. Do you feel more education and prepared to cook your own gourmet meal? Very much so. Dawn and Edee are always sharing tips with each other but it is predominately Edee doing the teaching. Edee prepares her own eggs from her own chickens and makes homemade orange juice from the oranges grown in her back yard. I believe this speaks to her extensive knowledge in the background, history, and preparation of all the food she cooks. 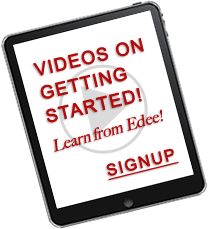 From the spices and rubs to the meats and wines, Edee knows where they are from, how they were grown or feed, and how best to prepare the foods. Knowing the background to every spice, meat, vegetable, and wine gives the novice a fighting chance to pair each meal appropriately. Q. Why would you recommend Viva Gourmet to others? Because I got a taste of it! Literally and figuratively – with pun intended. If you are building a house you want the best materials. Same applies for a dinner. If you are preparing a nice dinner for your loved ones, you want the best ingredients. With Viva’s ingredients, meats, vegetables, and wine selections you will be providing an exciting, unforgettable dining experience.